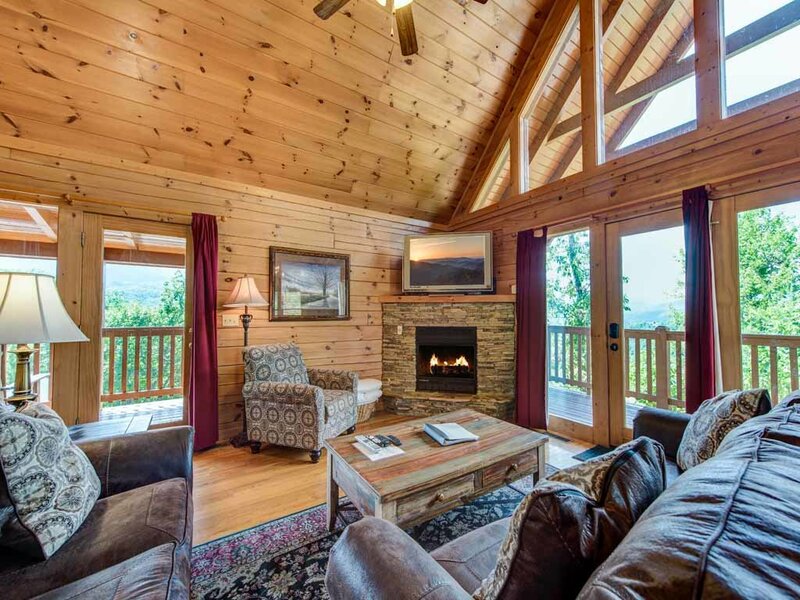 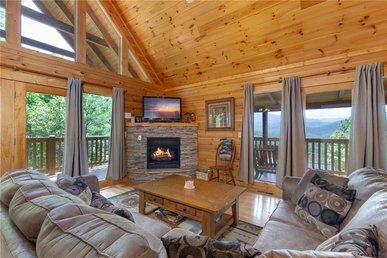 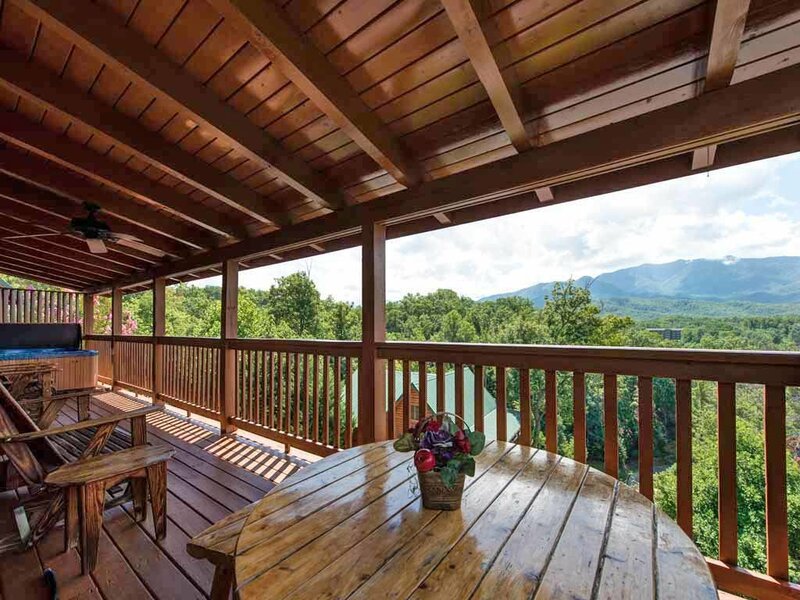 As its name suggests, Endless View looks out over lush woodlands toward the Great Smoky Mountains, a seemingly unending panorama of beauty. 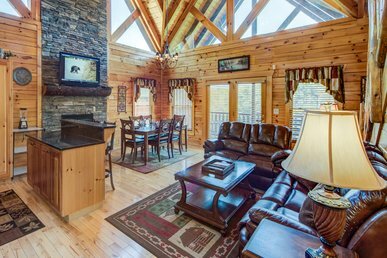 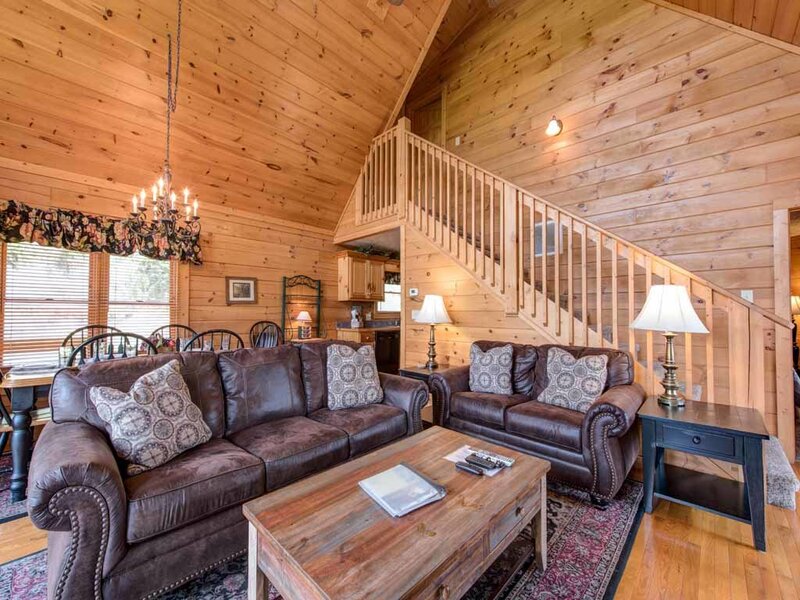 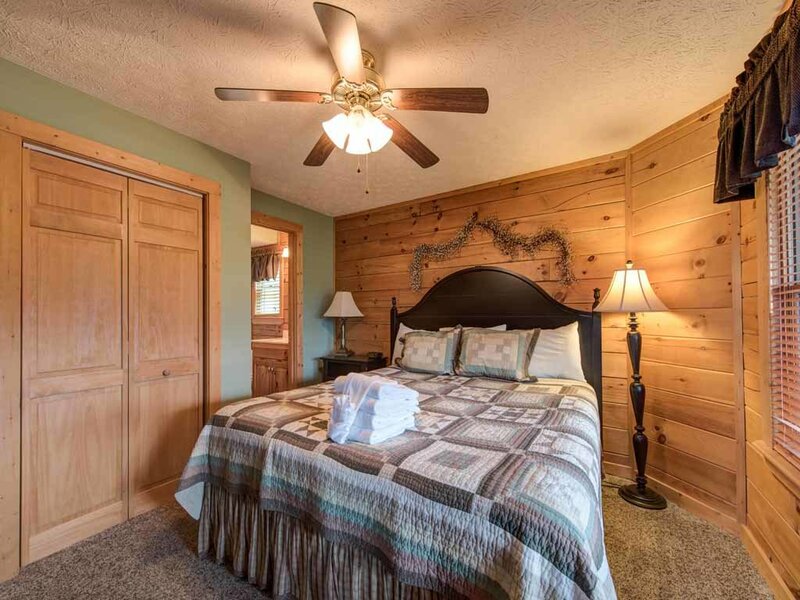 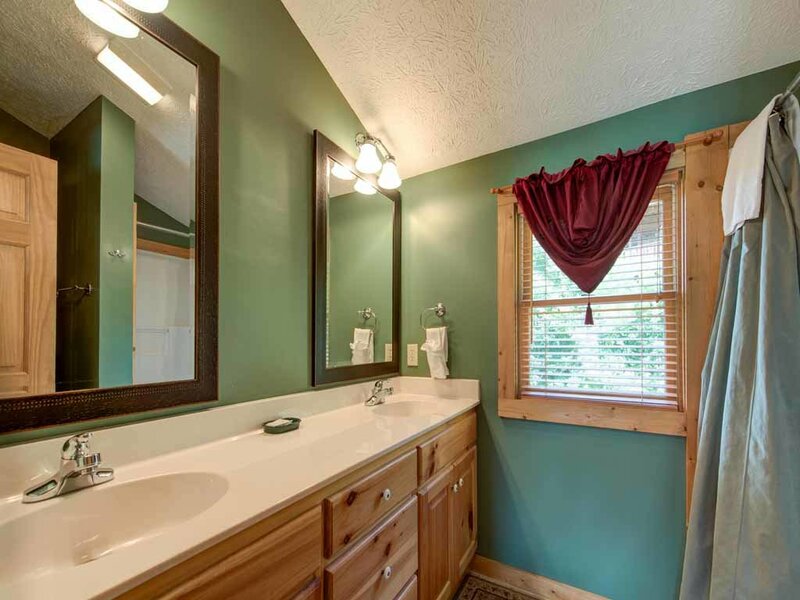 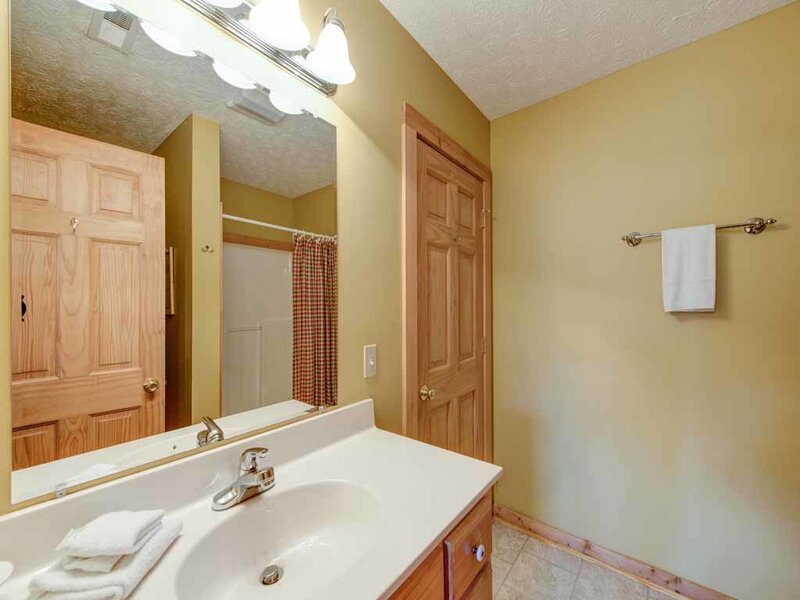 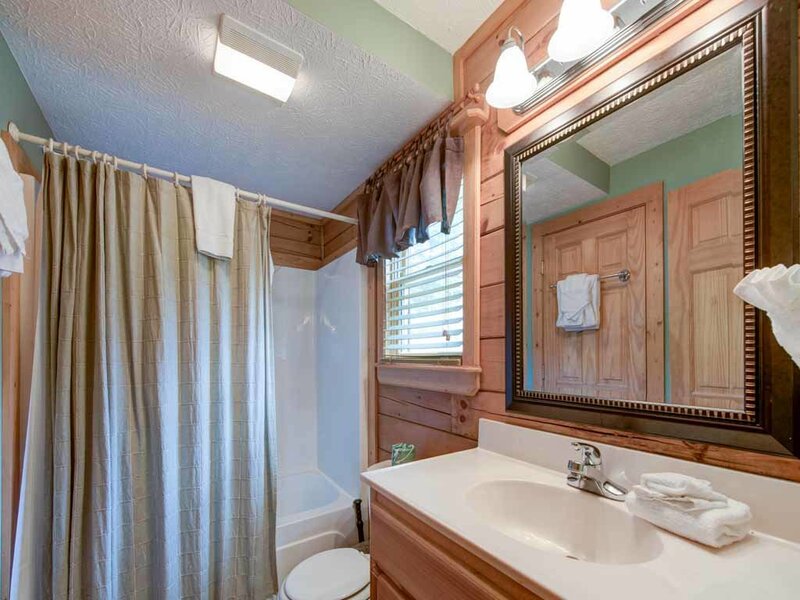 But the three-bedroom log cabin offers plenty more as well: a convenient location, an outdoor hot tub, a pool table, free WiFi, and other amenities. 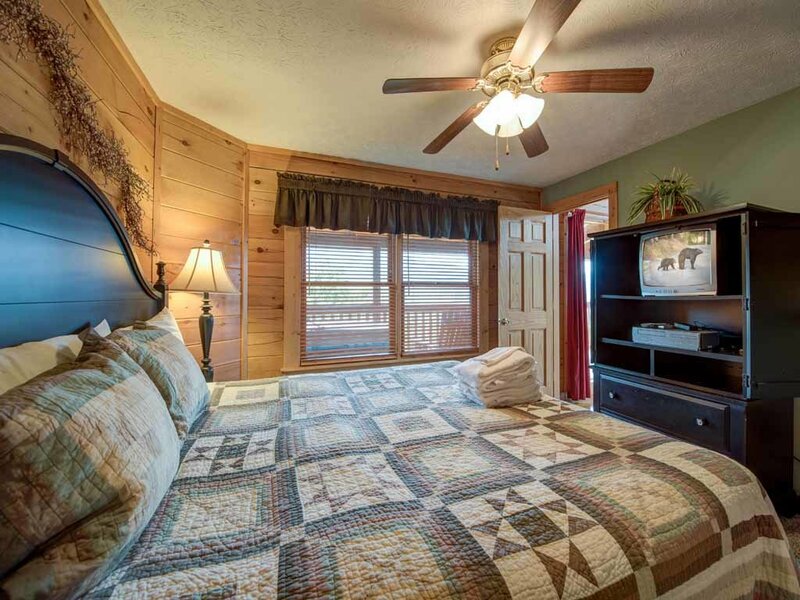 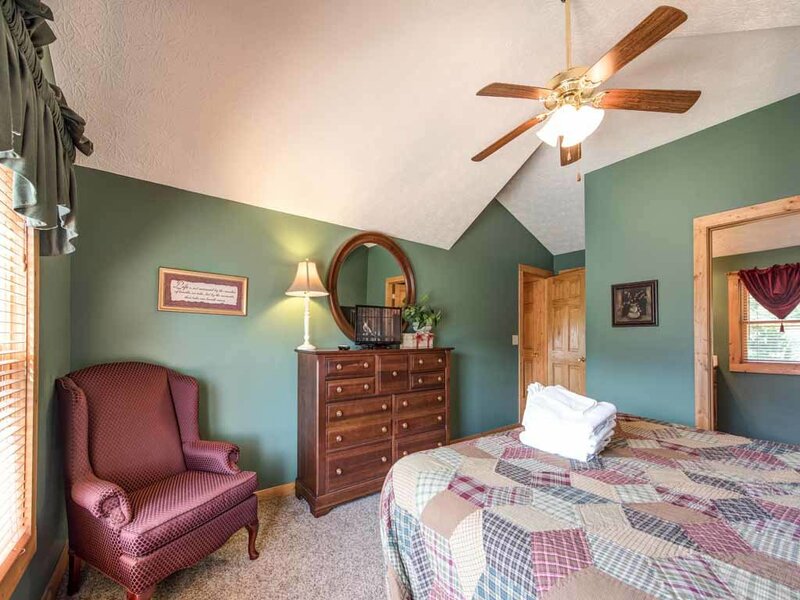 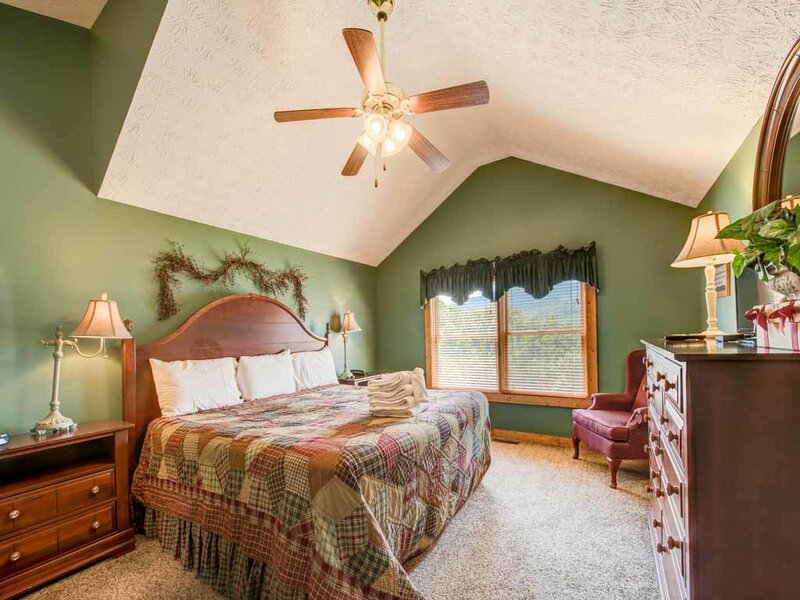 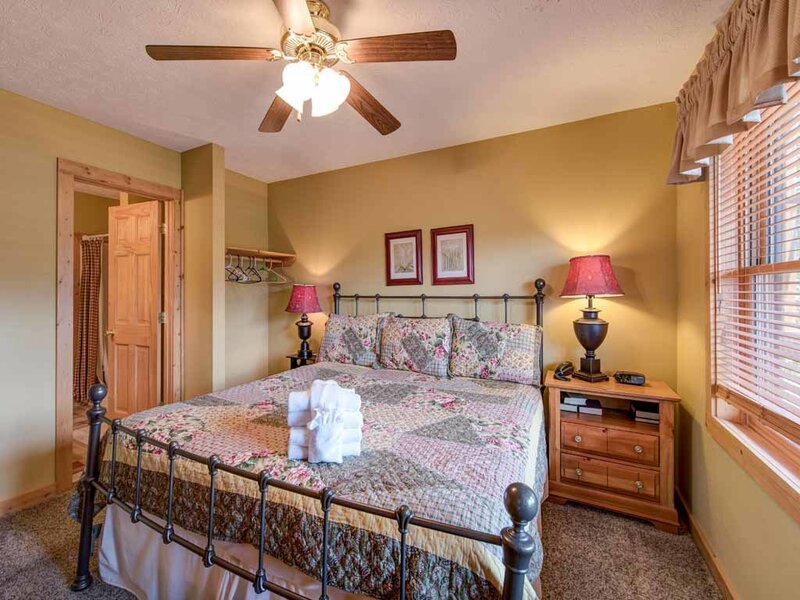 Each of Endless View’s three floors has its own master suite, and each suite has a king-size bed, a full bathroom, plenty of storage, and a TV. 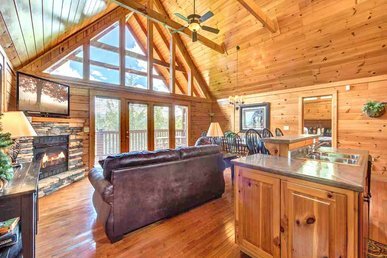 As a result, the cabin can accommodate several couples or families vacationing together as comfortably as it can a family. 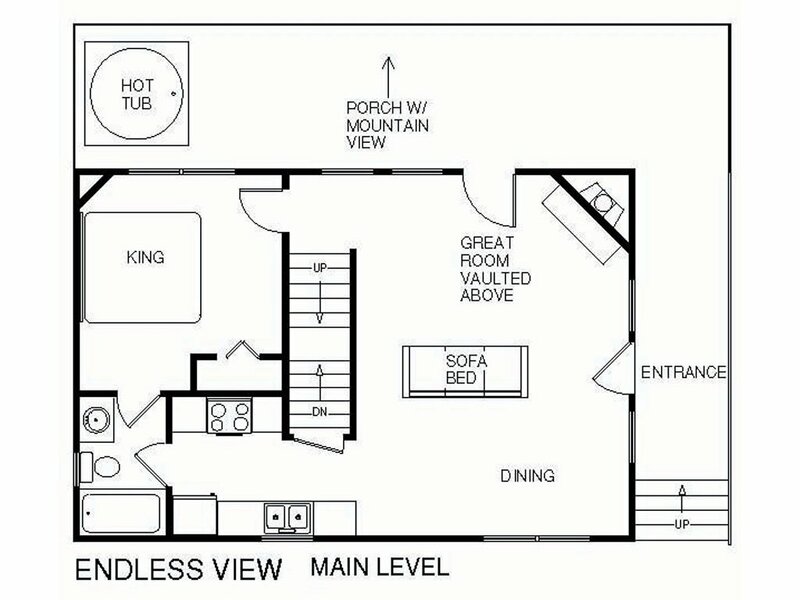 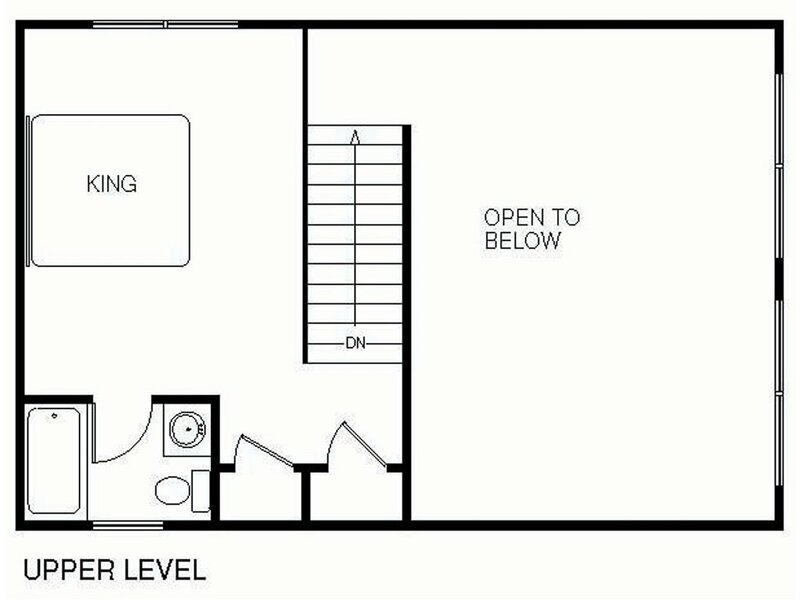 And if the three bedrooms aren’t enough, sofas in the main floor’s great room and the downstairs game room can convert into beds for two, so that up to ten people can spend the night. 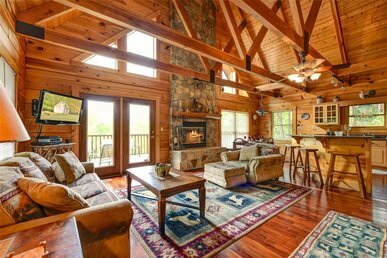 The great room is spacious enough that the whole gang can gather together, and its double-height vaulted ceiling and wall of windows keep the ambience airy and open. 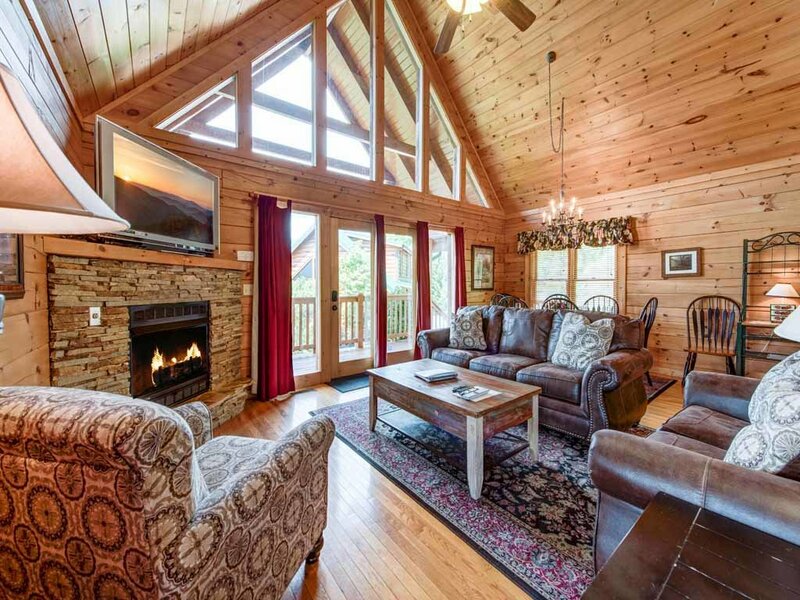 Whether you’re nestling on the leather couches as you watch a movie on the 46” LCD HDTV with cable and a DVD player, gathering around the gas fireplace after an afternoon of skiing or snowboarding, or curling up in an armchair with that book you’ll finally get a chance to read, you’ll feel right at home. 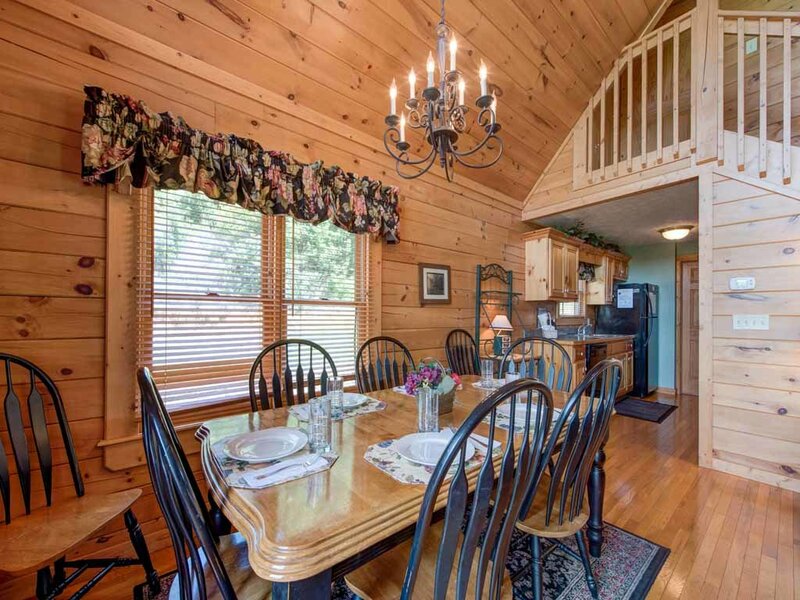 Behind the living area is the dining table, which can seat at least six, and the fully equipped kitchen. 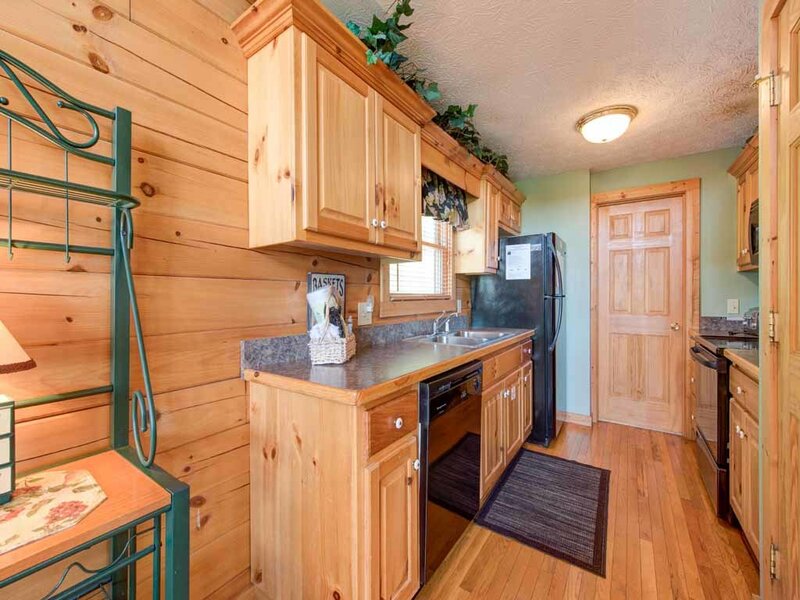 Full-size refrigerator/freezer, stove/oven, microwave, pots, pans, tableware, even dishwasher: Endless View’s kitchen has it all. 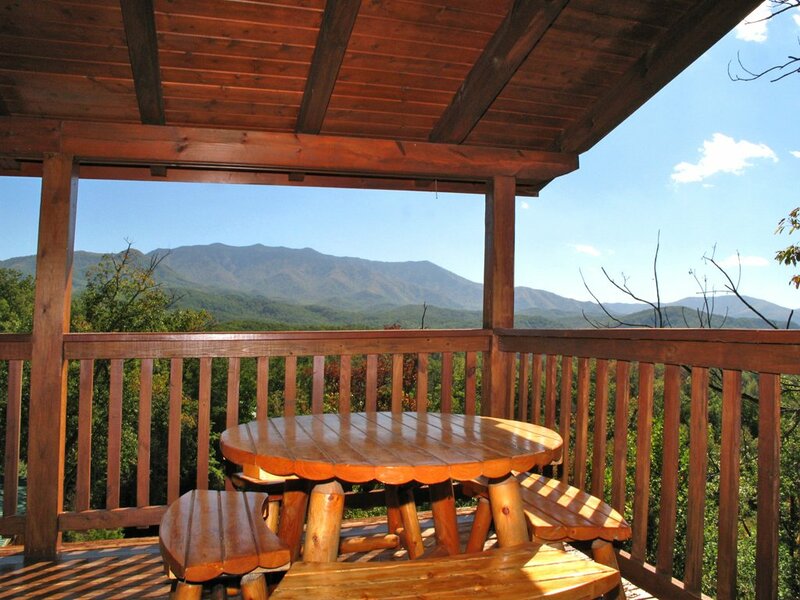 There’s also a charcoal grill outside, should you be in the mood for some home-cooked barbecue, as well as a table on the main deck so that you can dine alfresco. 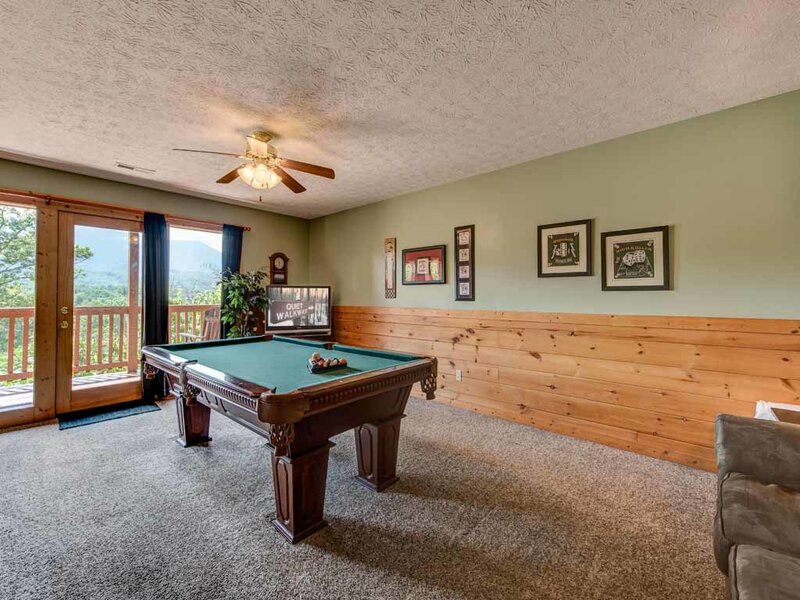 If you’re having trouble rounding everyone up for dinner, chances are good that they’re downstairs in the game room. 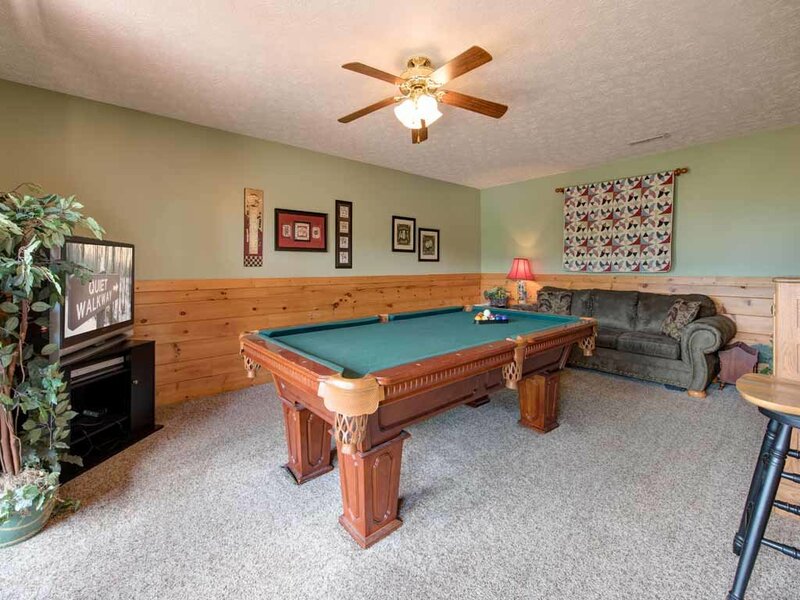 The full-size billiard table takes center stage, but the room also has a TV and a PlayStation 2. 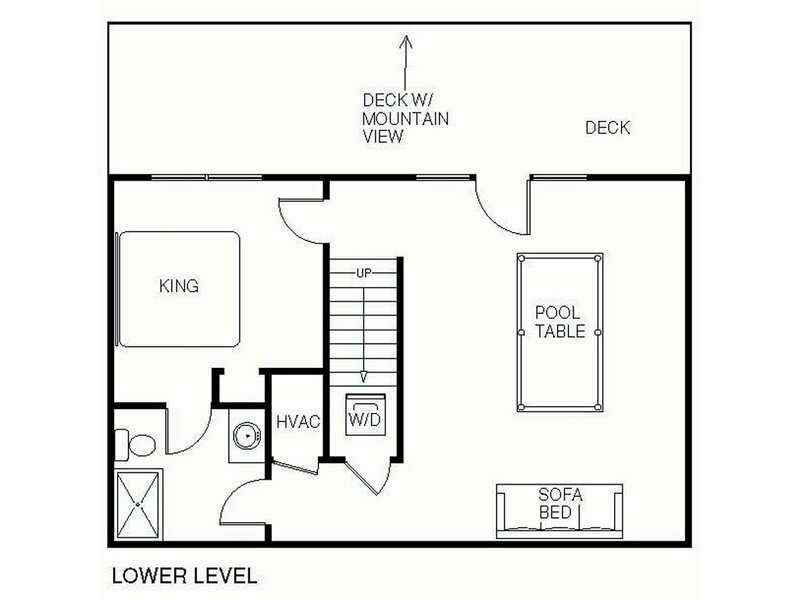 You’ll find a washer and dryer downstairs as well, so you can run a load of laundry while shooting pool. 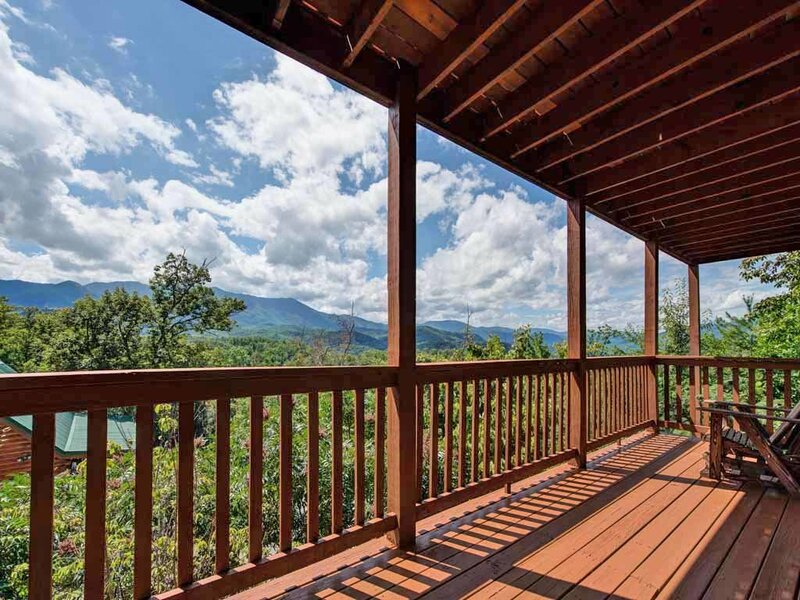 We’ve saved the best part of Endless View for last: the two large covered decks, both of which let you admire the mountains in all their glory. 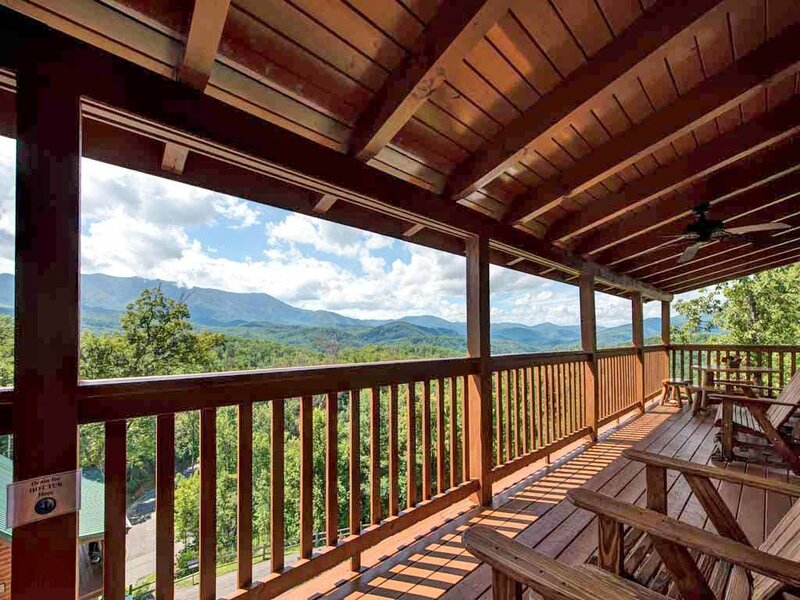 Come out in the morning to watch the sunrise while sipping coffee in one of the gliders; time your dinner so that you can watch the sunset as you tuck in at the picnic table; enjoy a midnight soak in the hot tub under the silvery moon as crickets and whip-poor-wills serenade you. 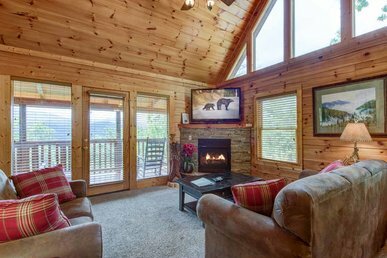 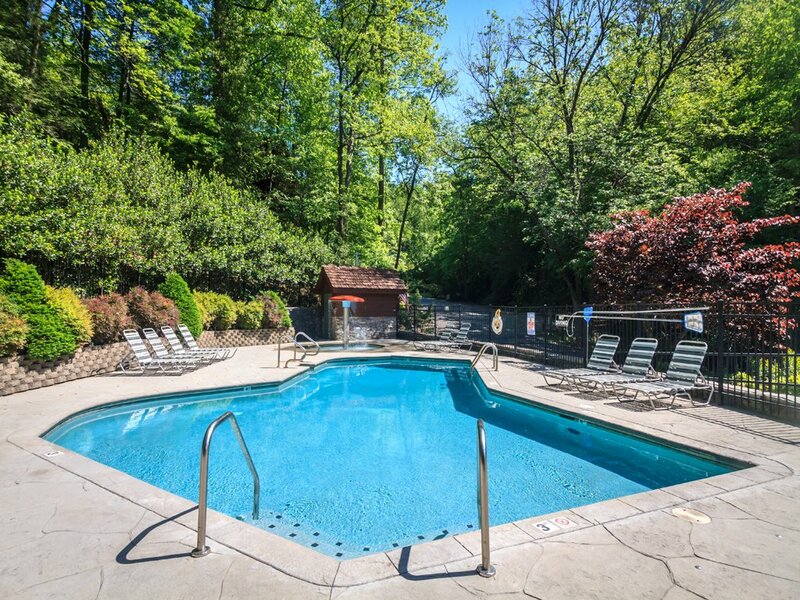 Because Endless View is part of the Black Bear Falls Log Home Community, you’ll have free access to its clubhouse and, in the summer, its heated adult and kids’ pools. 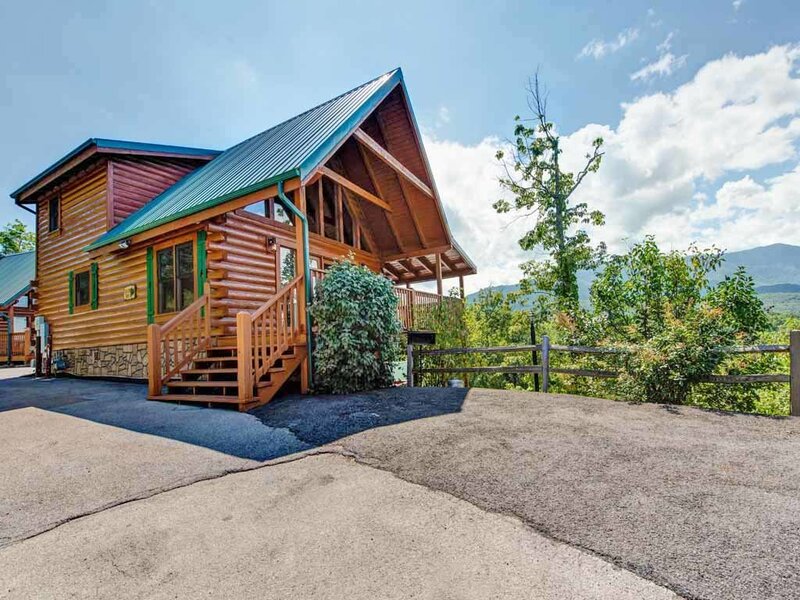 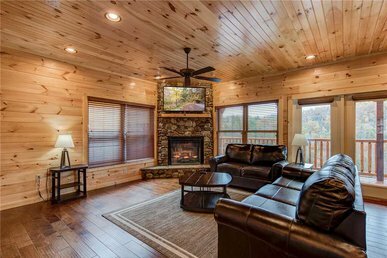 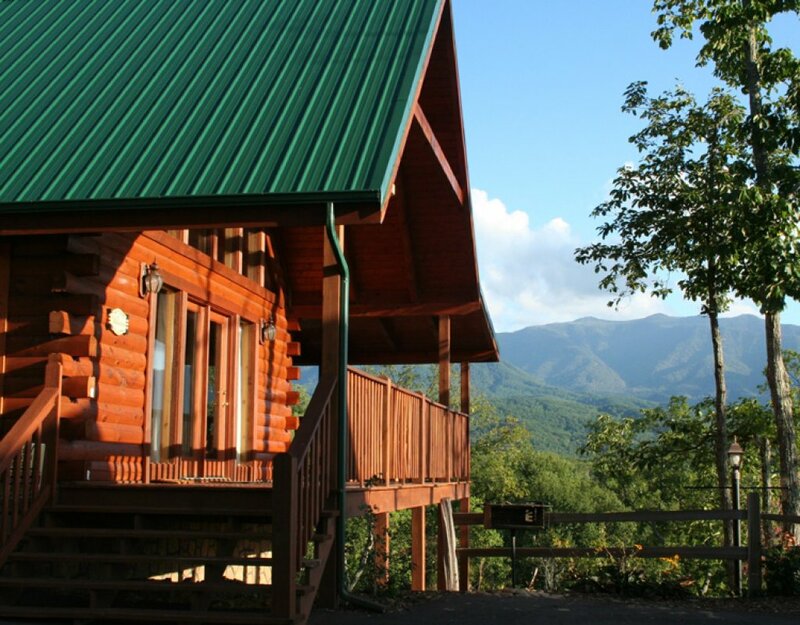 And year-round you can take advantage of the cabin’s proximity to everything that Gatlinburg and Pigeon Forge have to offer. 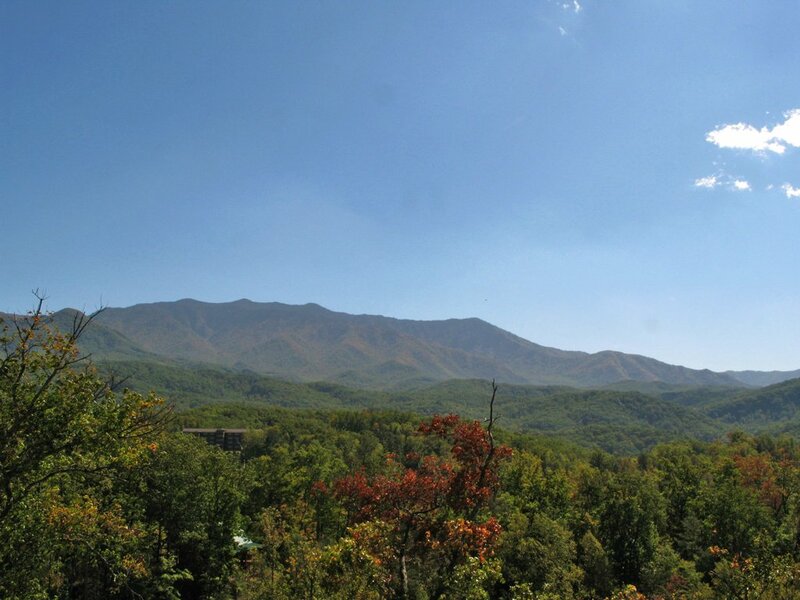 In less than ten minutes you can drive to downtown Gatlinburg, home to mini golf, an aquarium, the Guinness World Records Museum, and more (including the state’s oldest pancake house!). 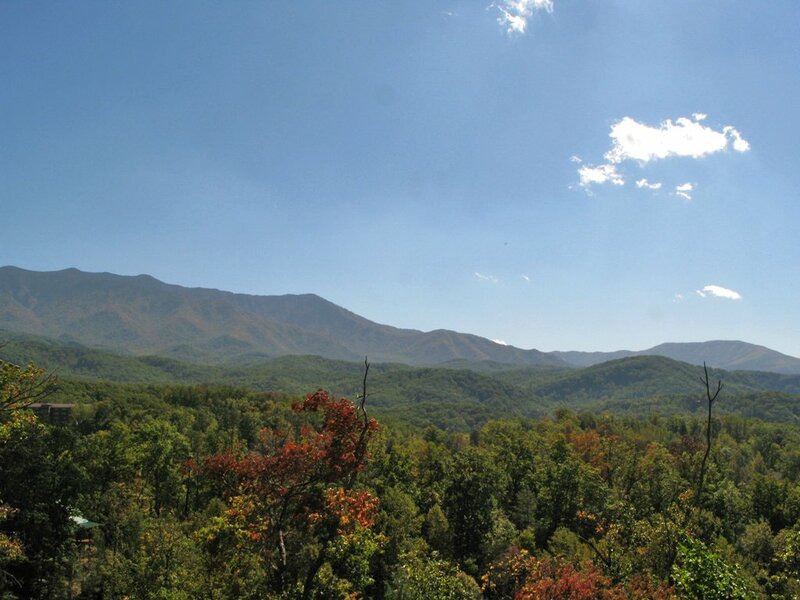 Also close by are the Great Smoky Mountains National Park, which you can explore on foot, on bike, by car, and even on horseback; the Ober Gatlinburg Amusement Park and Ski Area; and the Gatlinburg Arts and Crafts Loop, an eight-mile trail of more than 100 galleries, studios, and shops offering everything from stained glass to chainsaw art, custom knives to pottery. 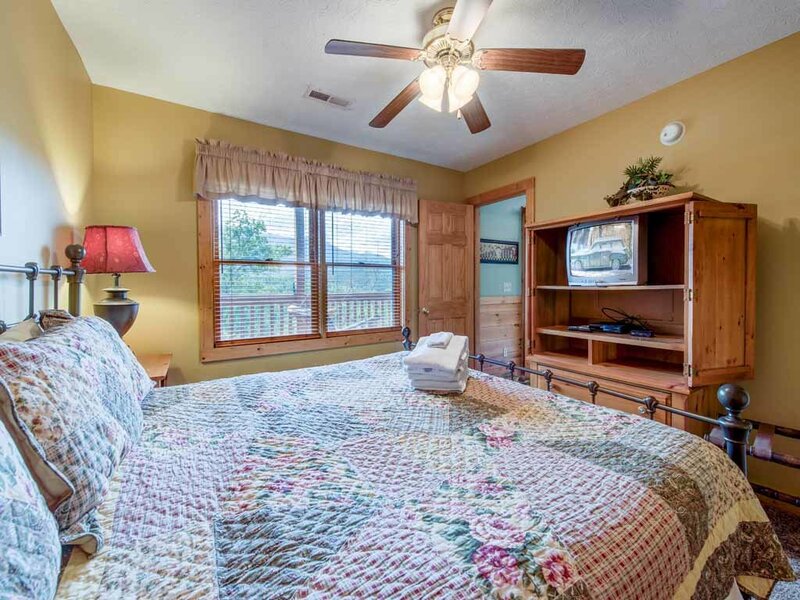 Even Dollywood is less than a half-hour drive. 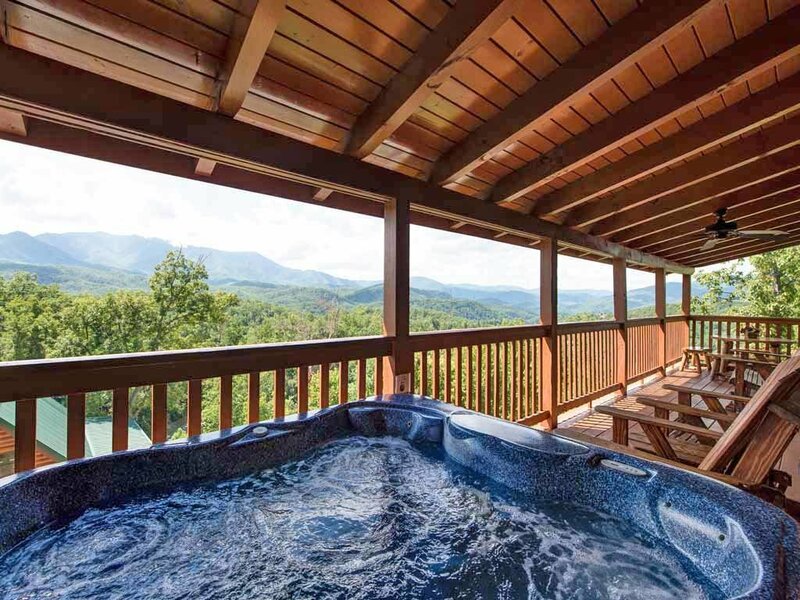 Then again, Endless View offers so many diversions of its own—the restorative hot tub, the pool table and PlayStation 2, the serenity of lazing on the deck with your nearest and dearest—you could easily while away a day (or more!) 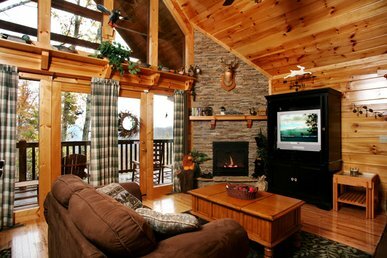 without leaving the cabin. 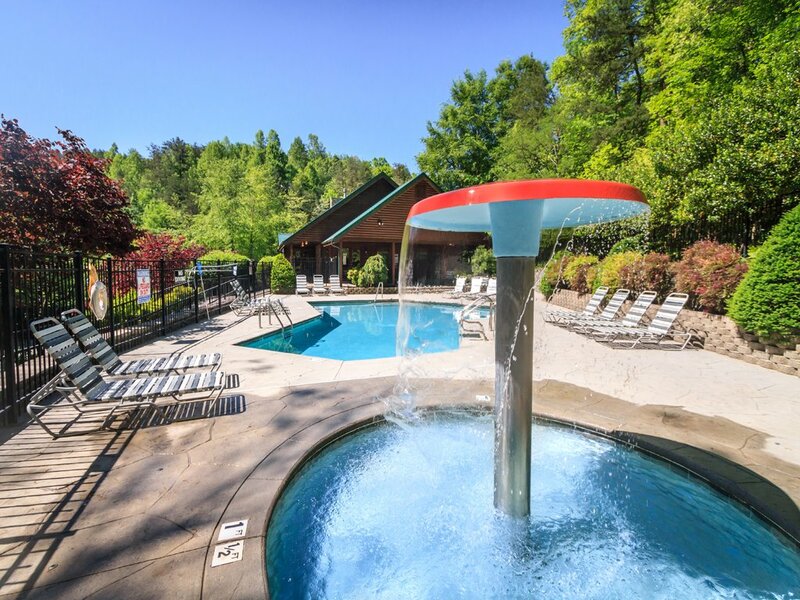 Experience its joys for yourself; book your reservation today!